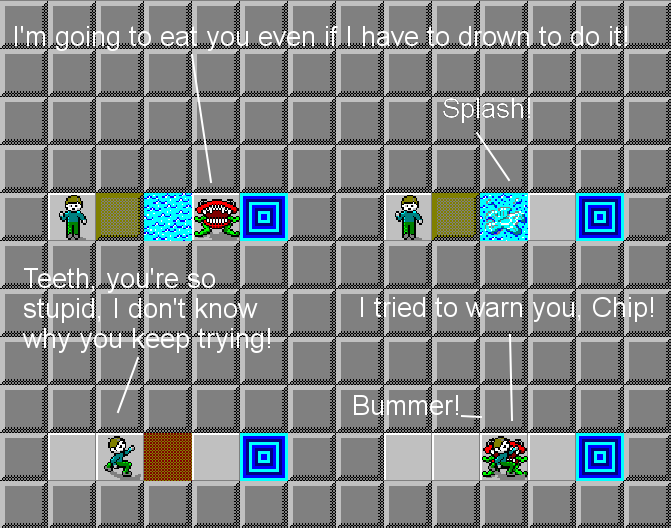 Swimming Teeth - Comics - CC Zone: The Next Level - Chip's Challenge/Tile World website! Just a simple CC Comic I made. This was designed in CCEdit and the text was added with Pinta. © Do anything you want with it as long as you credit me.